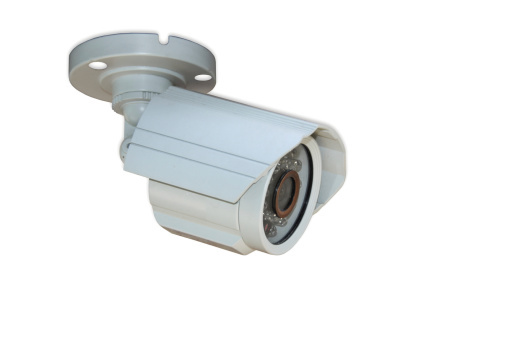 There are so many things to think about when you are deciding on a surveillance system and any possible accessories. One of the biggest things to consider when choosing everything for your surveillance system is the what types of cameras to use. You need to find out if the system itself is for indoor use or outdoor use. It may not seem like that big of a deal, but then again, that might be a much bigger deciding factor than you realize. Certain cameras are better suited for different environments, naturally. So, you’ve done a little bit of research, but you still can’t decide which would be better for your outdoor surveillance system. You know you like the dome cameras, and you know that you’re a fan of the bullet camera as well. The next question you may have is which would be better. Both of these cameras have their pros and cons, just like anything else in the world. The bullet camera is designed to be a bit smaller and easier to use all around. They are pretty easy to install and readjust. Should you need to move your camera too a better position, there’s nothing getting in your way from moving it. Additionally, almost every bullet camera every comes with infrared (IR) LEDs built into them. IR is going to be a big deal for you, especially for night time monitoring. Since you are placing the camera outside, you’re going to want to have this camera work well in low light situations. Research the camera and see how far and how wide it’s FOV (Field Of View) while the IR function is operating. As long as it’s a pretty far view, this may be a big deciding factor. The casing around these cameras is almost always weatherproof as well. Since the outdoors can get a bit brutal depending on your area, weatherproof casing is basically a must. The downside to these is that they may be easily susceptible to vandalism and people can see which direction the camera is facing. The dome camera uses its casing as its selling point. They use this casing to consider themselves “vandal proof,” basically the casing around the camera will be able to protect the camera itself. The casing of the dome camera can also be tinted, thus making it more difficult for potential criminals to view exactly where the camera is facing. Another fact to consider is that the wiring isn’t exposed for this camera, furthering it’s “vandal proof” claims. The downside to these cameras is that the tinting can affect the overall viewing capabilities at night. You would almost surely need to add lighting sources around the camera, but this would make people more aware of the camera itself. That, and dome cameras are frequently more expensive than bullet cameras. All things considered, this is a pretty even match. You can read reviews all day long, but at the end of the day, you know what you are installing your surveillance system. You know what you are going to be looking for and looking to deter with these cameras. It would be best to research the cameras as much as possible, figure out what you need them for, and then decide for yourself! Need Help Deciding Upon A Security Camera System? Contact CameraSecurityNow.com Today at 877-422-1907 For A Free Quote On A Security System Customized Just For You!